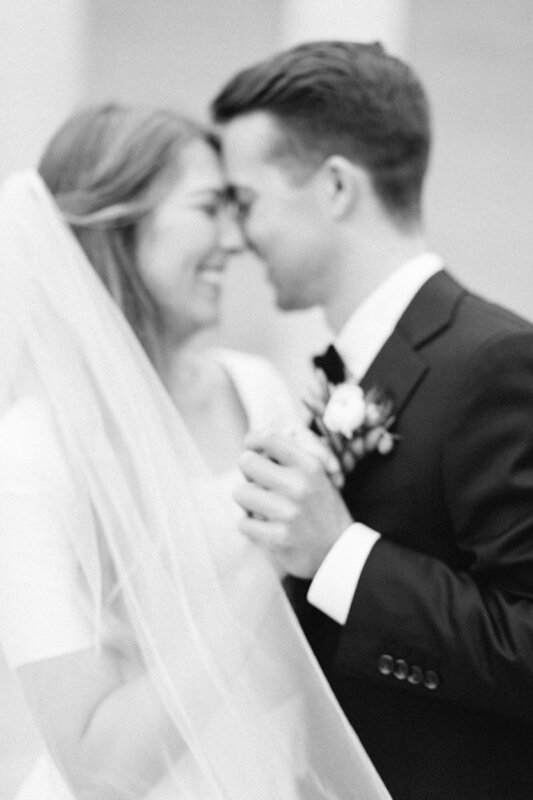 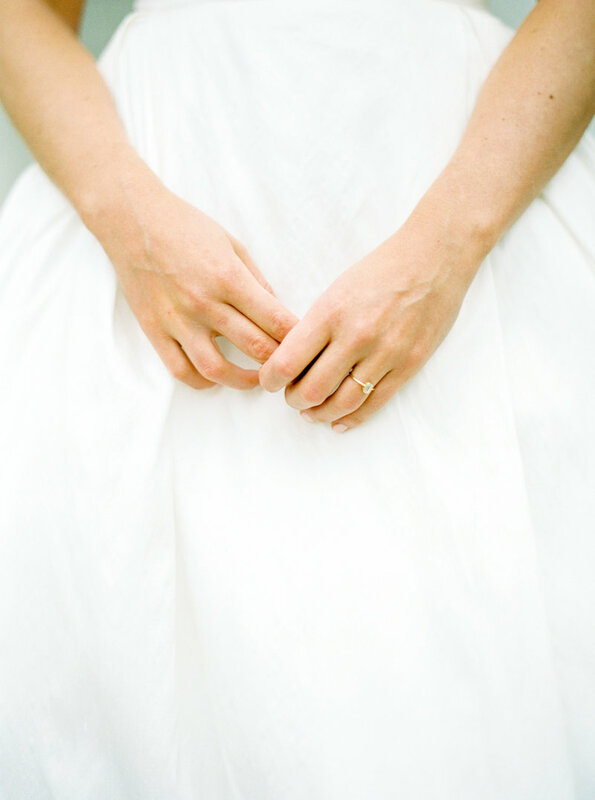 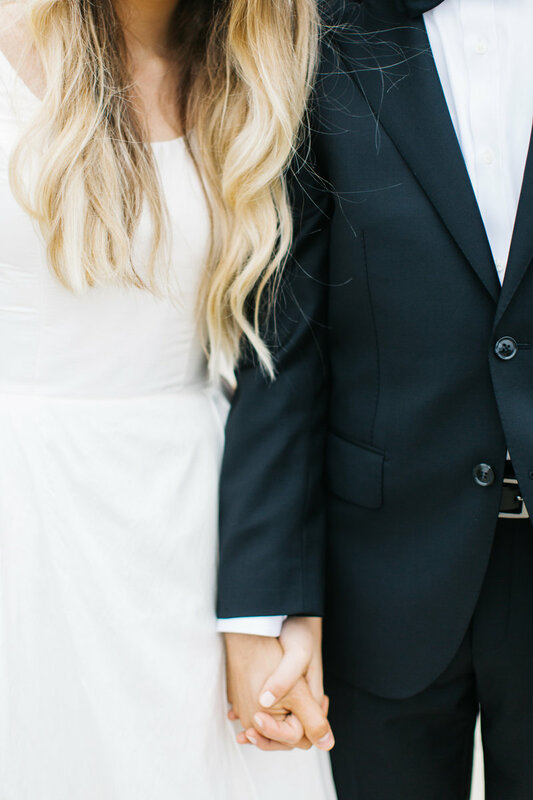 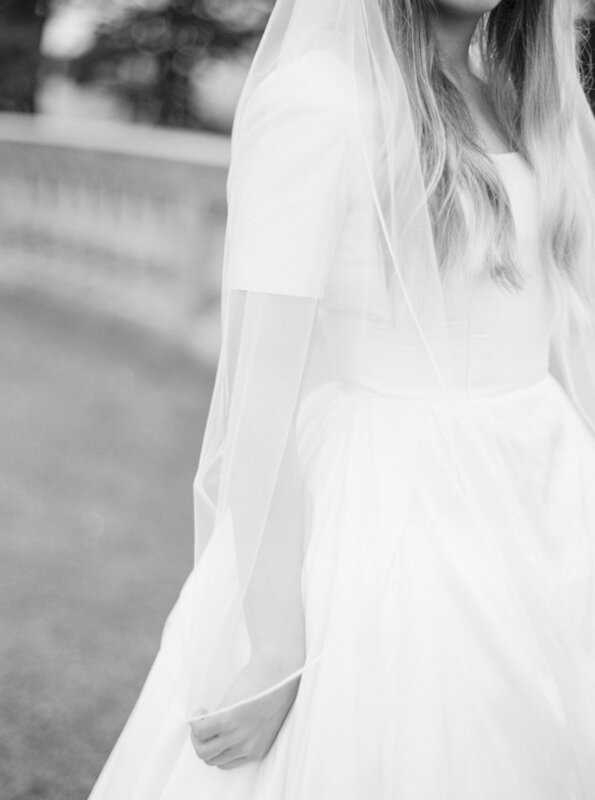 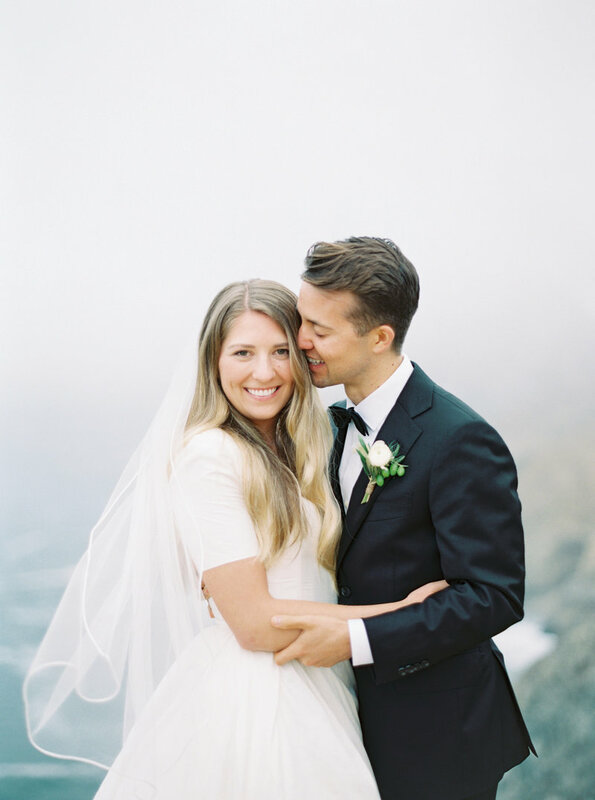 Olivia & Scott met while living in San Francisco. 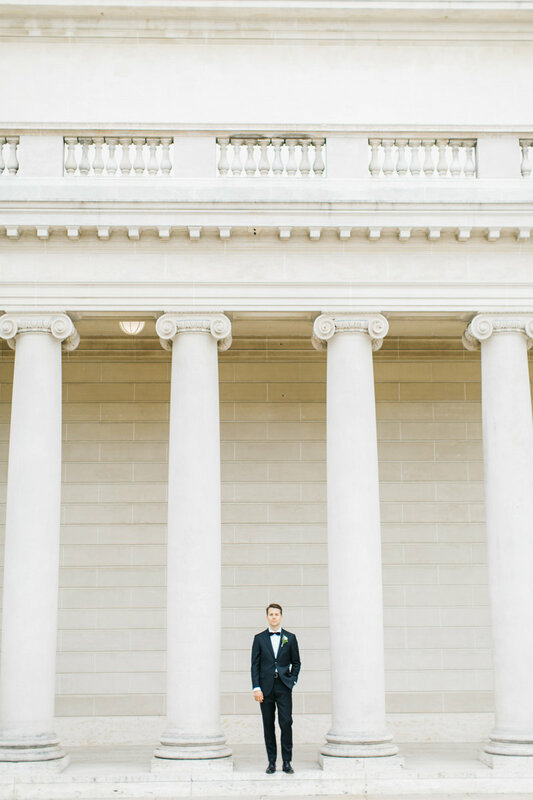 While they weren't planning to get married in San Francisco, they wanted it to be a part of their story when it came to wedding photos. 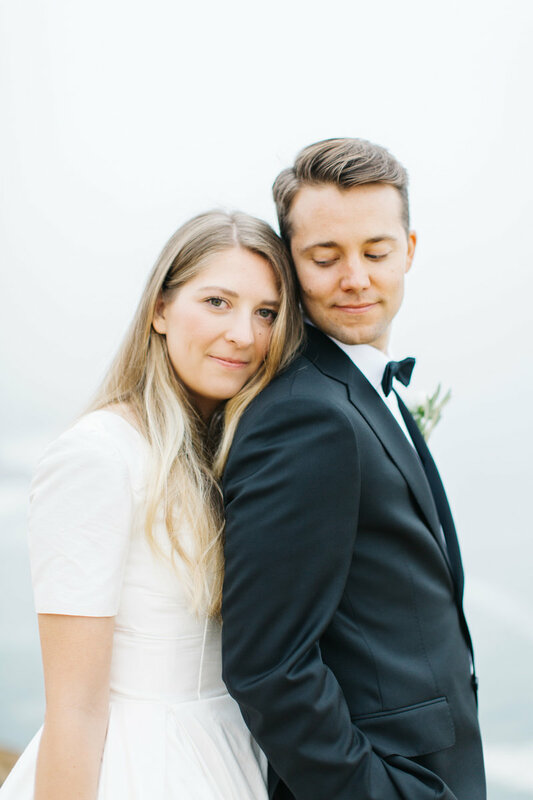 Scott & Olivia are the two kindest souls and their equal creativity makes them made for San Francisco. 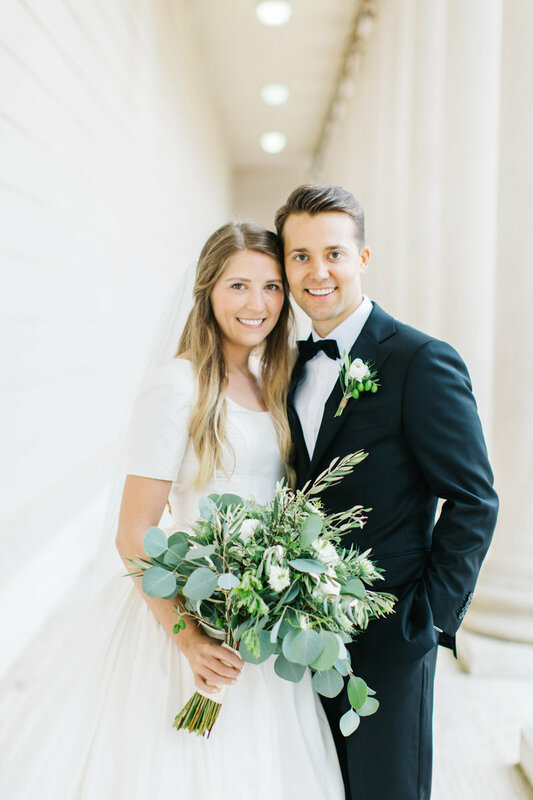 Olivia is a talented artist and Scott is a graphic designer. 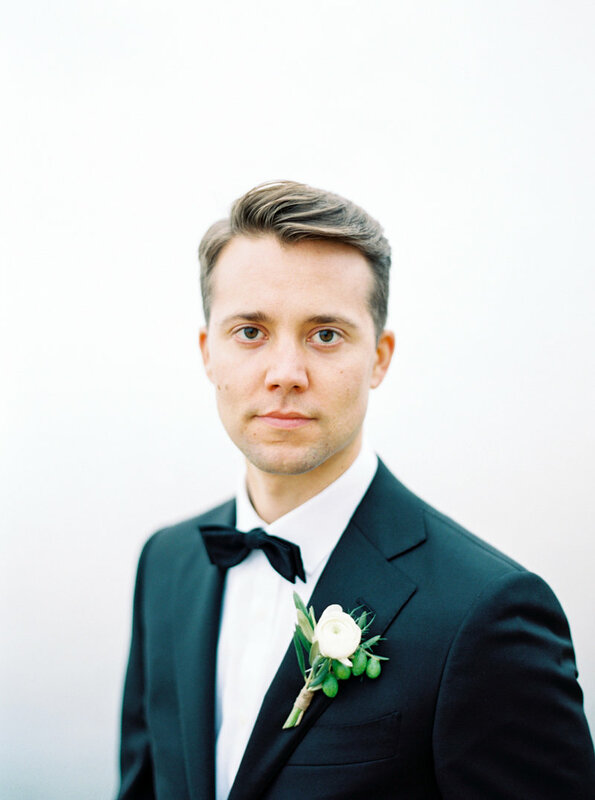 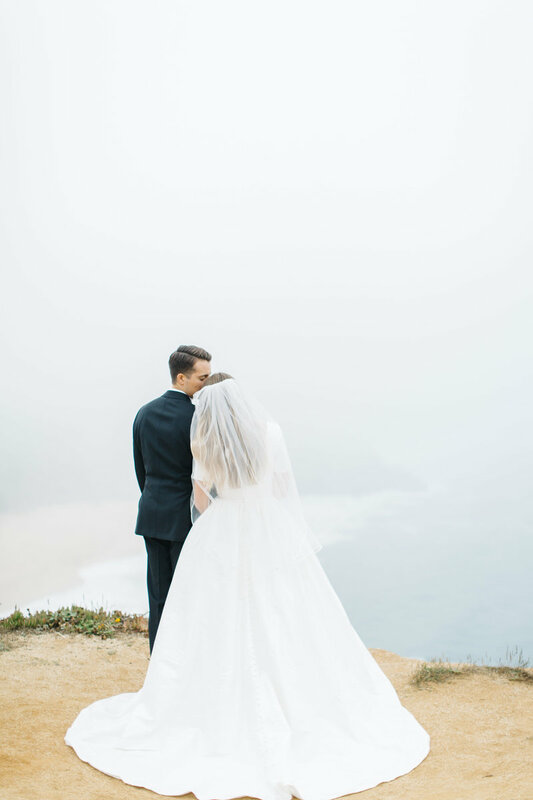 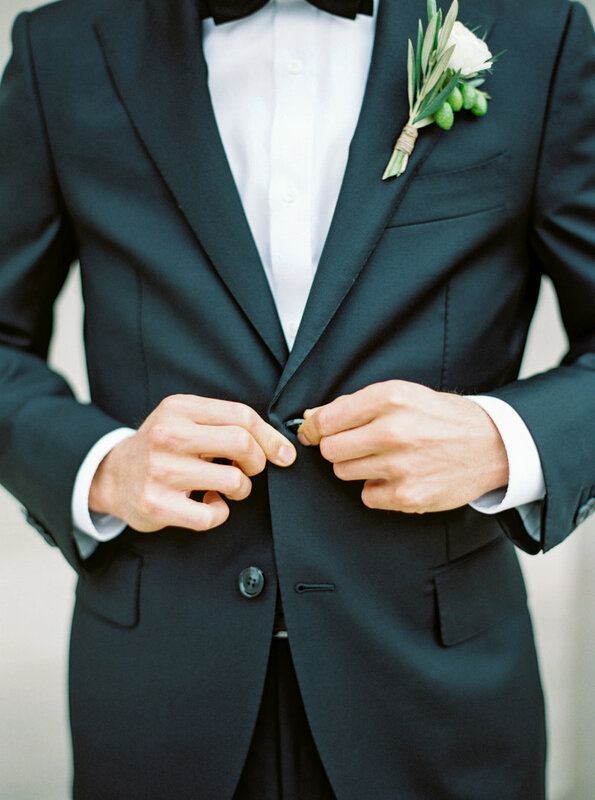 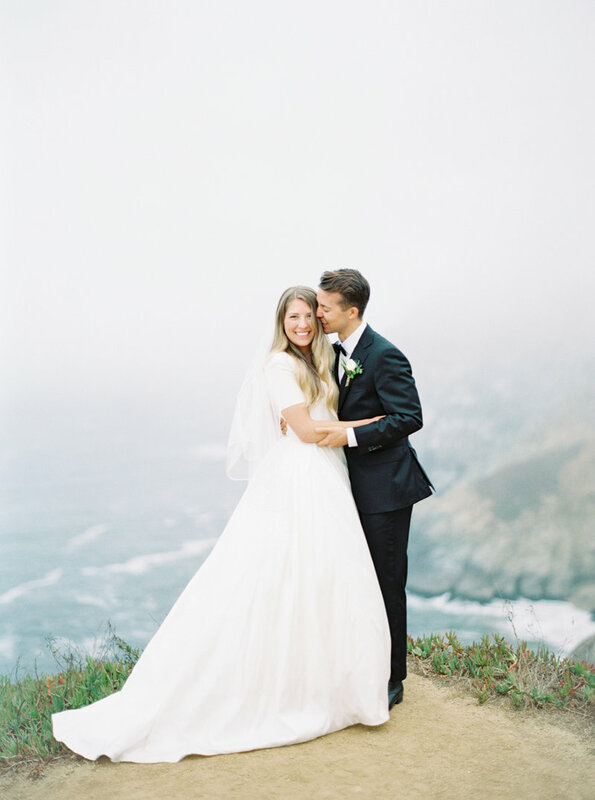 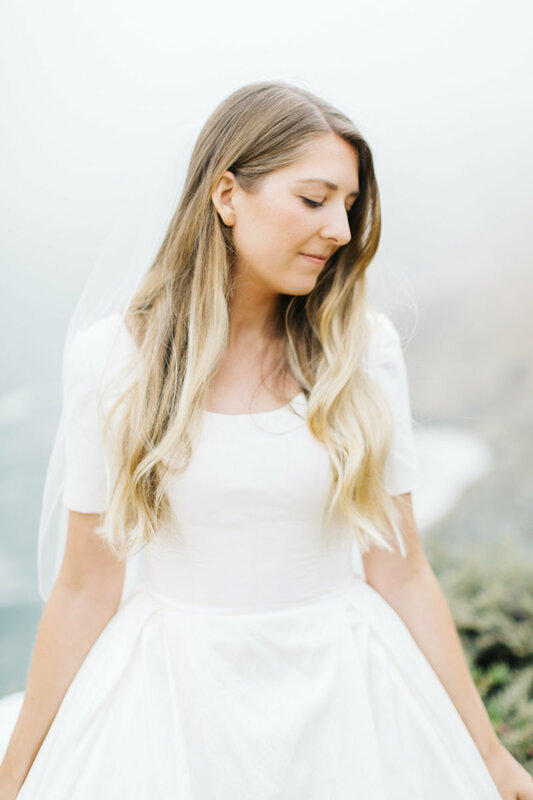 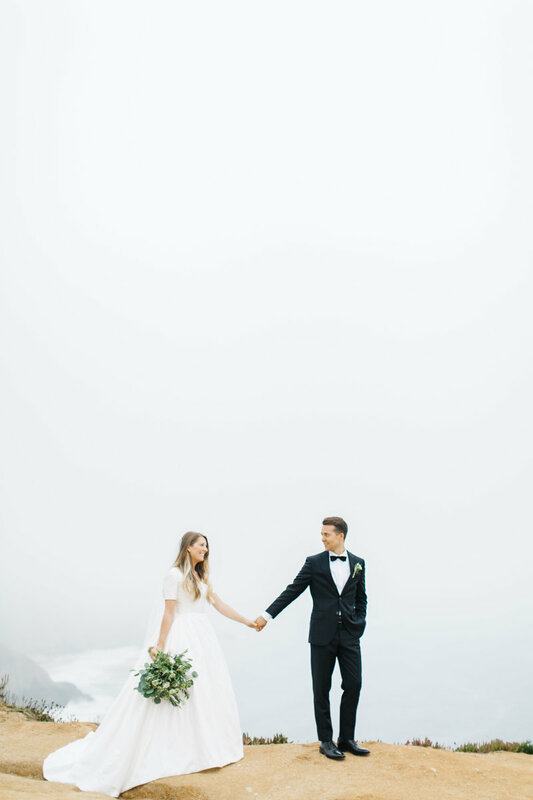 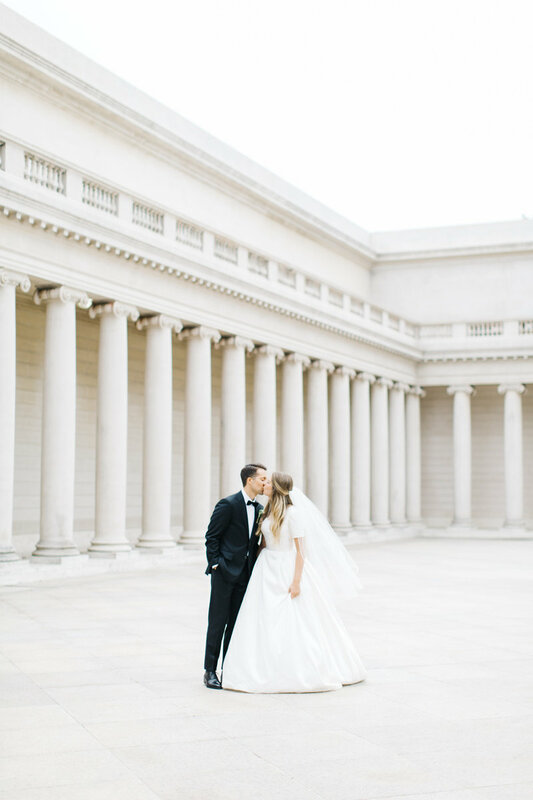 They wanted their individual style and overall simplicity to be reflected which is why we chose the Legion of Honor for their first location and the gorgeous cliffs at Half Moon Bay as their second. 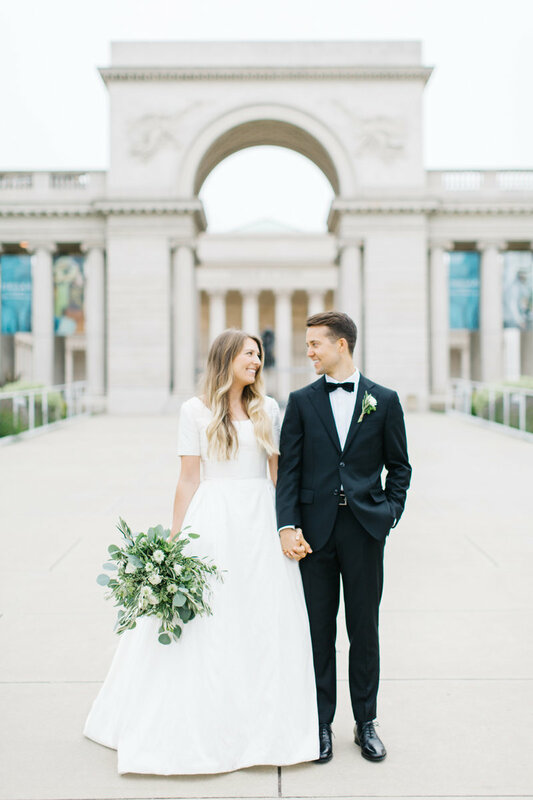 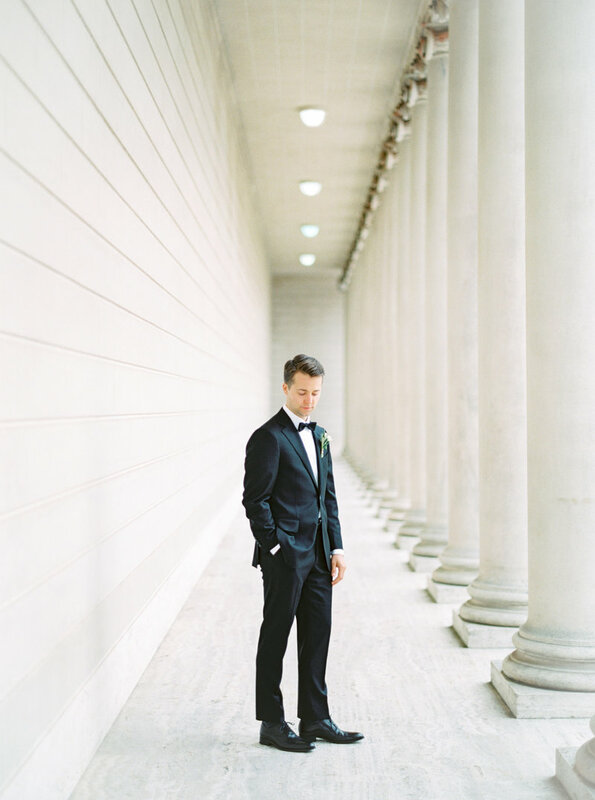 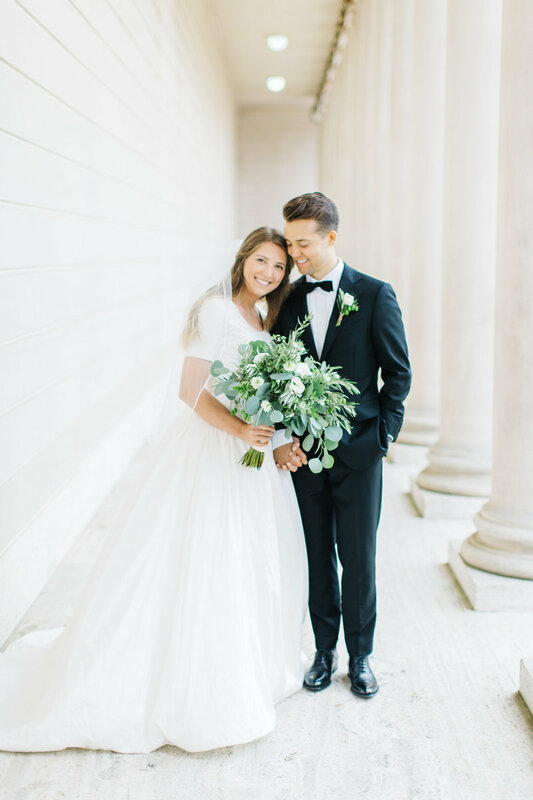 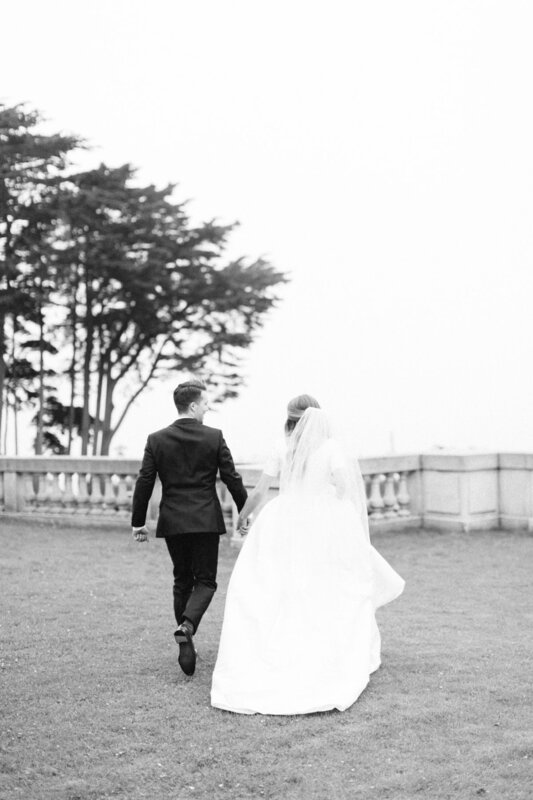 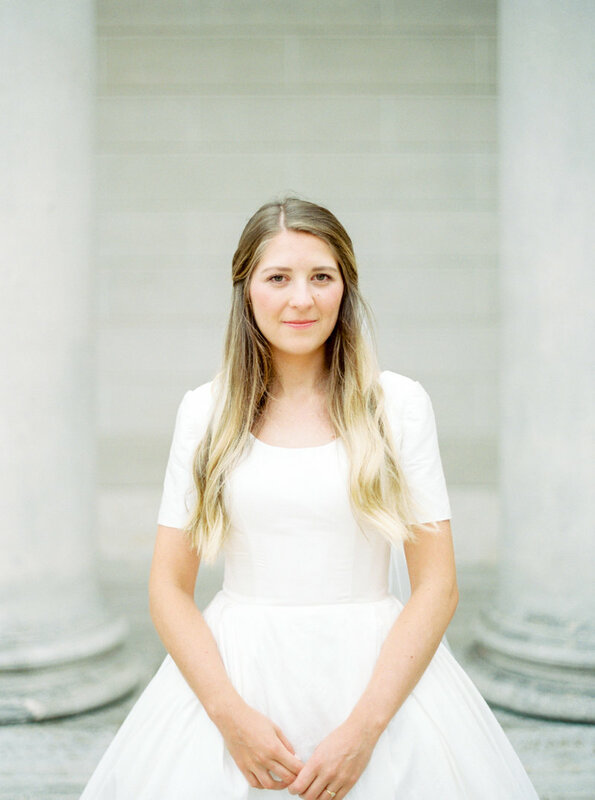 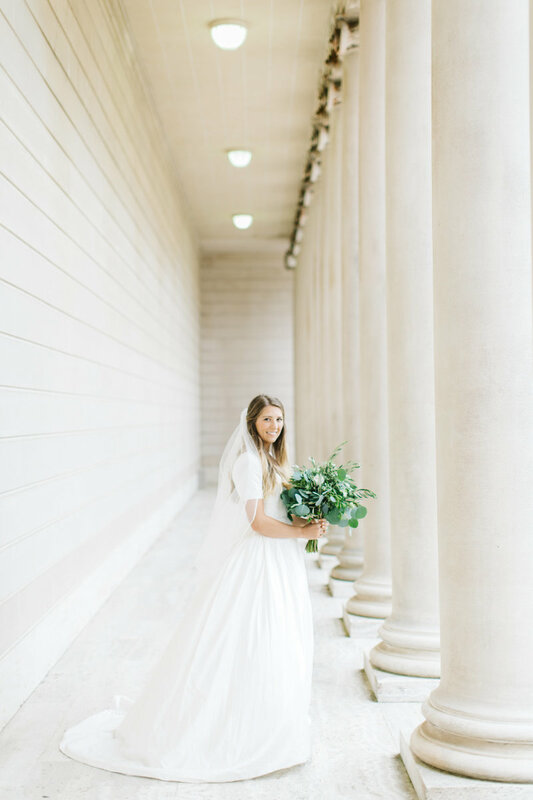 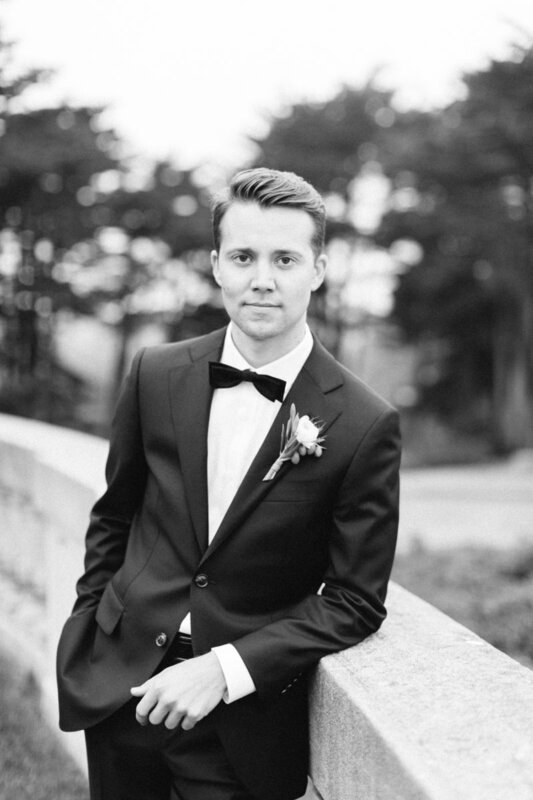 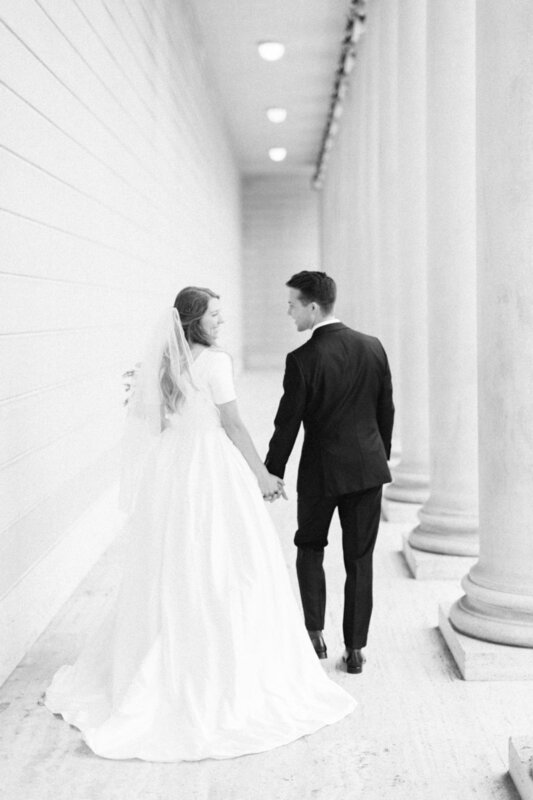 The beautiful architecture of the Legion of Honor was a perfect match for Olivia's structured wedding dress and Scott's crisp tux. 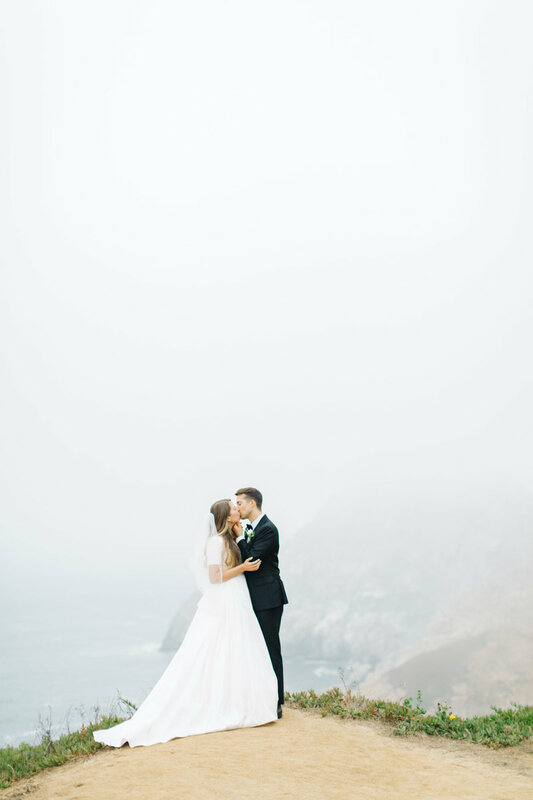 It was the most lovely day and I loved ending it on the cliffs watching the fog roll in.